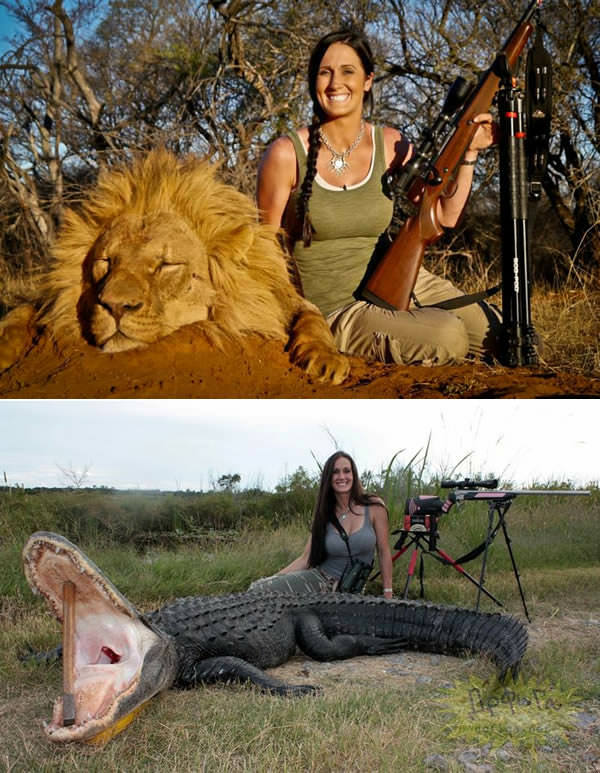 In 2014, a 19-year-old cheerleader sparked outrage by posting pictures of wild creatures she has hunted and killed in Africa while posing cheerfully next to them. 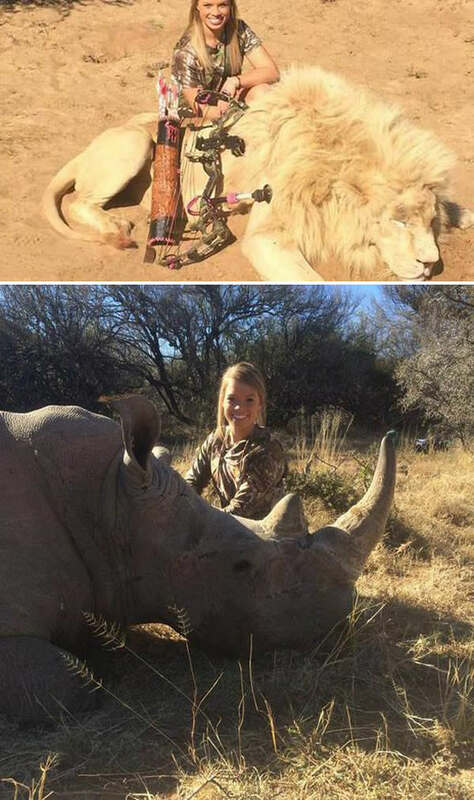 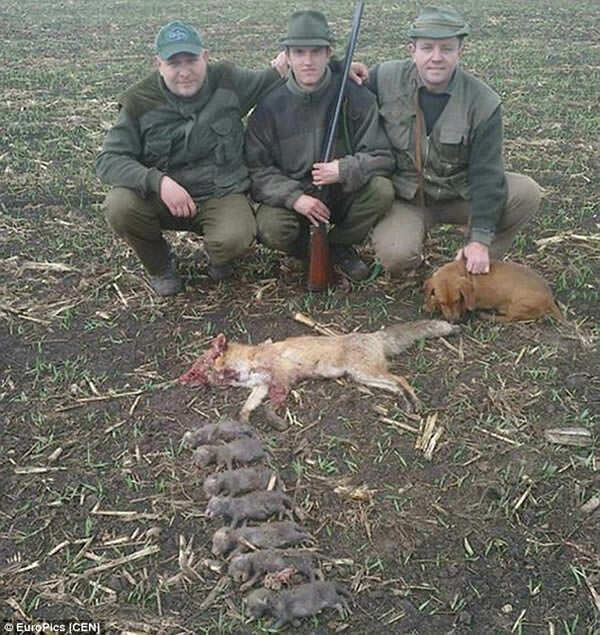 Tens of thousands of people have signed a petition demanding that Facebook remove the photos taken by U.S. hunter Kendall Jones. 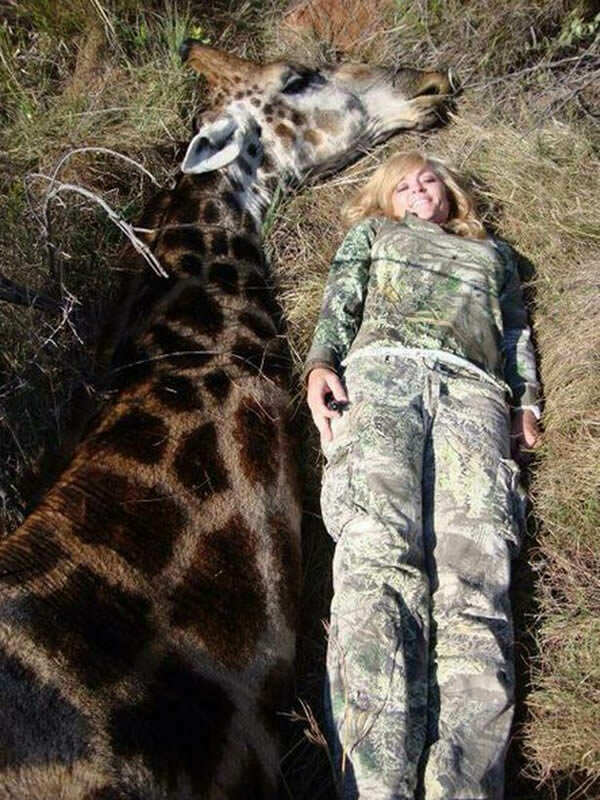 A self-styled hunting queen who posts pictures of herself next to animals she’s killed has received death threats after posing for a picture while lying next to a dying giraffe.